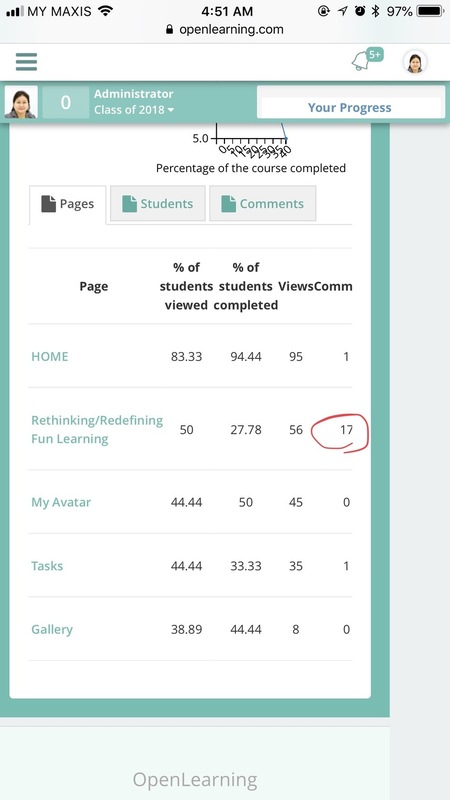 I can’t view posted comments on learning activities by students on my page. How can I view the 17 posted comments in the attached image? Hi Ang Chooi Kean , you can check all those comments by going to the page. For example, "HOME" page got one comment, click "HOME" then it will go to the page and you scroll down to the bottom to see all the comment (The bottom one is comment section). Attach herewith photo for your future reference. Actually I was trying to see the posted responses to the activities which I have found in the Gallery.